Great high or too good to be true? It’s already been previously determined that weed and food are best friends, and it’s certainly no secret that some people love to use food as their go-to method of imbibing some herb. Out in California and other states where marijuana is not only legal but sold over-the-counter and on many street corners, it isn’t unusual to find foods that promise a wicked high in exchange for very little cash. Yes, nowadays you can find just about anything and make it with marijuana: there’s mac and cheese, pot-filled granola, peanut butter cookies, and even chocolate dipped strawberries. The recipes are endless and are only getting more creative as more states legalize marijuana for recreational use. And baked goods are now being packaged in smoke shops in those lucky states, where people are eagerly picking up their very own pot-filled delectables with glee. That was what happened when someone stumbled across “Dankies” which are cleverly named marijuana-infused Twinkies — aka "weed Twinkies." They found them at a local pot shop in Irvine, California, and were pleasantly surprised that they were only $10 for a pack of two. 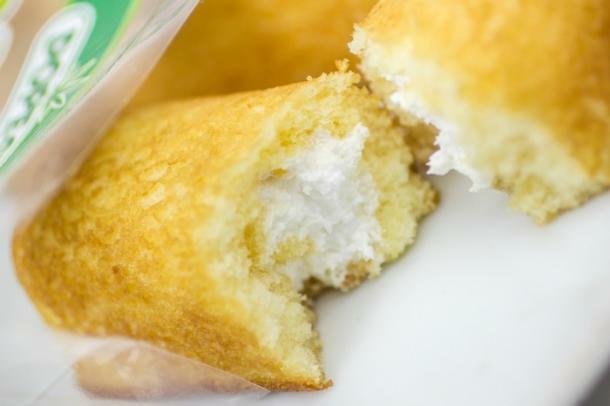 These were not “freshly-baked cannabis cream-filled cakes” like they were hoping, but ordinary Twinkies that had been emptied of their vanilla cream and instead filled with 1,000 mg of THC-infused cream. In other words? A pothead’s dream come true ... if they worked like they were supposed to, that is. There had to be some crazy level of anticipation and excitement leading into what seemed like a great journey, only for it to end in disappointment. So while these weed Twinkies may have a glorious name, it seems that they did not fulfill their end of the bargain. But there are always other amazing weed-infused foods out there, ready for the challenge!